NEW Capital Fund, LP was founded in 2006 followed by NEW Capital Fund II, LP in 2012. The firm has focused on making early stage life and material science, information technology and growth stage niche/advanced manufacturing investments. In 2017 the firm completed its portfolio of investments is no longer seeking new opportunities. Mr. DeBruin serves as President of DeBruin & Associates CPA’S, LLC. From 1974 to 1978 Mr. DeBruin was a staff accountant at Arthur Young & Co. in Milwaukee. In 1978 he joined Schenck SC as a Manager and was promoted to partner in 1983. He was President of Schenck Corporate Finance Group, Inc. from 1995 to 2012, and supervised the firm’s merger and acquisition areas. At DeBruin & Associates CPA’s LLC he provides merger and acquisition services. Other related services include business financial planning, valuations, and strategic business planning. Completing over 300 transactions over a 20 year period, Mr. DeBruin assisted a number of start up companies that have developed into over $100 million sales revenue companies. As an audit shareholder, experiences include supervising audits of all sizes, from several of the largest companies in the area to small developing companies. Mr. DeBruin earned a BBA in Accounting at the University of Wisconsin – Madison He received the Elijah Watts Sells Award for outstanding performance in the CPA Examination. Mr. DeBruin is a member of the Board of Directors of NEW Capital Fund; Master Mold, LLC, Milwaukee, WI; National Tissue Company, Milwaukee, WI; and Werner Electric, Inc, Neenah, WI. From 1975 to 1978 Mr. Goff worked as a staff accountant with Arthur Andersen LLP in Chicago, IL, participating in a wide variety of management consulting engagements while with Andersen. Mr. Goff moved to Appleton and founded Forward Enterprises, Inc., a distributor of industrial piping products serving the pulp and paper industry and mechanical contractors. Over the next 18 years, Forward Enterprises expanded to five locations in three states, $30 million in revenue, and 75 employees. Mr. Goff sold Forward to Ferguson Enterprises in 1998 and subsequently worked as the General Manager of Ferguson’s Northeast Wisconsin division. In 2006 Mr. Goff became the President of NEW Capital Management acting as the General Partner of NEW Capital Fund and in 2012 Mr. Goff became the President of NEW Capital Fund II, LP. Mr. Goff has participated in management of both Funds while investing in twenty Wisconsin and Minnesota based early stage businesses. Mr. Goff earned a degree in Math and Computer Science from UW-Oshkosh and a MBA from UW Madison. Affiliated with M&I Marshall & Ilsley Corporation for 33 years, Mr. Gitter retired in 2008: his last position was President of Wisconsin’s northeast region. Mr. Gitter’s responsibilities included management of over 40 branch locations and administration of a $2.5 billion loan portfolio. Mr. Gitter serves on the board of directors of Valley Packaging, Inc., Keller, Inc., Warehouse Specialists, Inc., and the Franciscan Sisters of Christian Charity. Mr. Predayna serves as the Vice President of DeBruin & Associates CPA’S, LLC. From 1983 to 1994 Mr. Predayna held various positions including audit and tax manager at Schenck SC in Appleton. From 1994 to 2002 he held controller positions at Great Northern Corporation, a privately owned manufacturer of corrugated boxes, and Material Management Group, a distributor of fasteners and related parts. In 2002, Mr. Predayna returned to Schenck SC and was promoted to partner in 2005. He also served as Vice President of Schenck Corporate Finance, Inc. where he assisted clients in the sale and acquisition of business entities. As an audit shareholder, Mr. Predayna also supervised audits of all sizes from several of the largest companies in the area to small developing companies. In 2012, Mr. Predayna joined DeBruin & Associates CPA’S, LLC. In addition to positions in audit, tax and corporate finance areas, Mr. Predayna’s experience includes representing clients in the sale and acquisition of business entities with transaction sizes up to $60 million in value. Mr. Predayna also assists clients with strategic planning, cash flow forecasting, costing analysis and other business planning projects. Mr. Predayna earned a BBA in Accounting at the University of Wisconsin – Oshkosh. He received the Elijah Watt Sells Award for outstanding performance on the CPA exam. Mr. Predayna has served on the boards of several non profit organizations including Appleton West Rotary, Appleton YMCA, Big Brothers Big Sisters of the Fox Valley Region, Community First Fox Cities Marathon, and the Girl Scouts of the Fox River Area. 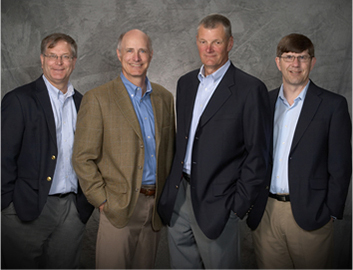 The Fund is governed by five Investment Board business professionals from northeast Wisconsin who advise the General Partner on Fund investments and management matters. The Investment Board assists in transactional due diligence and may serve as consultants or directors of portfolio companies. Each Investment Board member is a limited partner in the Fund.